As a public service, we remind you that Mikaela Shiffrin winning a bronze medal during Thursday's FIS Alpine World Ski Championships giant slalom does not mean she failed. She is till very good at Alpine skiing. Let’s keep this in perspective, a bronze medal at the FIS Alpine World Ski Championships is not a failure. This should be obvious, but reading assorted coverage of Thursday’s giant slalom in Are, Sweden, one might think Mikaela Shiffrin might have straddled a gate and DNF’d. 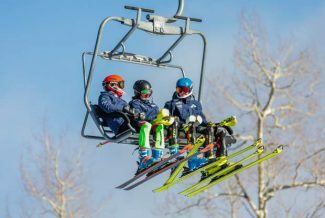 “Mikaela Shiffrin’s careful planning didn’t pay off in the giant slalom at the world championships as the American had to settle for a bronze medal behind winner Petra Vlhova, of Slovakia,” The Associated Press wrote. “Mikaela Shiffrin settles for bronze medal in GS at world championships,” The Denver Post ran as a headline. Thursday was nasty … in a weird way. After arctic temperatures last week in Sweden, it was in the 40s and raining, pushing back the start times of both runs. 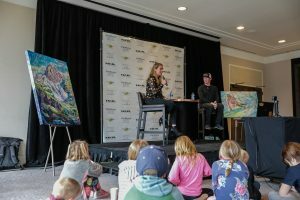 That affected Shiffrin, particularly on her first run where she had to be cautious as she was the second racer out of the gate. If she charges in that first run on unknown snow conditions, there’s a good chance she does DNF. I’ve often talked about how Bode Miller is a more apt comparison for Shiffrin than Lindsey Vonn since Shiffrin comes from tech not speed. But we should modify this. 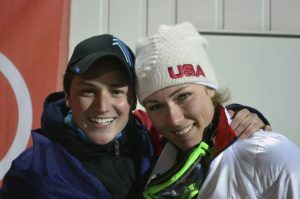 Shiffrin is Miller with a better awareness of the situation. As much as his fans loved his skiing by the seat of pants, Miller’s flaw was he was too aggressive and would have DNF’d in the situation. Prudence was the order of the day to give herself a shot in the second run. It almost worked. Sitting in fourth, two of the racers in front of Shiffrin, Germany’s Viktoria Rebensburg and Norway’s Ragnhild Mowinckel, did have bad second runs. Shiffrin gained time on Rebensburg and passed Mowinckel. France’s Tess Worley never really got going in either run and finished fifth. For a while, Petra Vlhova looked like she had made an exceptionally bad mistake hitting a gate midway through her run. It just turned out that the Slovakian had the better line by hitting a gate. Who knew? Vlhova’s a darn good racer. She’s second in the overall World Cup standings and, in most years, would be in contention for the title, except for the fact that Shiffrin is skiing so well these days that the American leads the Slovakian, 1,694-1,043. By not winning Thursday’s giant slalom, Shiffrin’s winning percentage in her 25 starts since the 2018 Olympics plummeted from .667 to .650. Somehow, I don’t see Shiffrin’s mother, Eileen, telling her daughter to stand in the corner to feel shame for such a “dreadful” outing. When we’re asking “what’s wrong?” when Shiffrin — or Lindsey Vonn in her heyday — doesn’t win a race, it’s not so much what’s wrong, but more of a commentary of the dominance of the athlete. Not only do you have to be skiing at such a high level, which Shiffrin is doing, but you still need some breaks, for example, the temperature not swinging nearly 50 degrees in one week. There is a reason only five people — Toni Salier, Jean-Claude Killy, Anja Parson, Janica Kostelic and Ted Ligety — have won three golds at worlds during the post-World War II era. Vonn, Hermann Maier and Marcel Hirscher, Alpine deities that they are, never won three individual events — the team event doesn’t count — at one worlds. That should tell you how hard it is. Issue No. 4: Should Mikaela have done the combined? One is tempted to play “what if?” The podium was Switzerland’s Wendy Holdener, Vlhova and Mowinckel, tech racers all. But as we discussed when the whole Miller-Vonn-Shiffrin to-do erupted, Shiffrin seems to have a darn good sense of her comfort level of when to compete. Winning 65 percent of your starts during the last year backs her judgment. In a break from “Shiffrin Watch 2019,” The Associated Press is reporting Hirscher has the flu in advance of today’s men’s GS. Classic Hirscher downplaying his chances. He’ll win. And Shiffrin still has the slalom on Saturday. We hear she’s pretty good in that discipline.